Originally published by Uppsala Autonomous Students Facebook page. Today, Wednesday 23rd, the Swedish Dockerworkers Union (Svenska Hamnarbetarförbundet- Warning Facebook Link) has called for a national strike in harbors around the country, in response to the latest round of negotiations with the Swedish Confederation of Transport Enterprises. The two sides were unable to come to an agreement due to the employers refusing to consider anything but the least consequential demands brought to the table by the union. At the same time, these small concessions are used by the bosses to try to paint themselves in a generous light and the union as uncooperative and childish. In turn, the port managers have already acted preemptively against the strike in the sudden announcement of a new round of lock-outs, following the disproportionate and enormously costly lock-out used in response to the minor strike actions in 2018. However, the reality of such lock-outs have not been picked up by the mainstream press, and have mostly not been addressed by the port owners, who instead have attempted to put the blame for any production losses entirely at the feet of the dockers and their local unions. In reality, it is the Swedish Confederation of Transport Enterprises and their fellow representatives in the capitalist class who are to blame for the lock-outs and the dire consequences in the lead-up to the current conflict, including the bereavement of dockers from workplace safety representatives and the firings of full-time workers, later brought back through precarious temp agencies. Any claims to the opposite is a lie, propagated in order to sabotage widespread public support for the combative dockers, and will in all likelihood be echoed by mainstream media outlets, both partial and uncritical. Uppsala Autonomous Students wishes to express its wholehearted support for the Swedish Dockerworkers Union. We encourage all our followers and friends to spread the word about this conflict and to donate to the dockers’ strike fund (Swish: 1231321959). We moreover urge any supporters interested in following the goings-on of this conflict to be careful about what news you read and to take care not to drive traffic to information put out by our counterpart. Keeping up to date is best done through the publications and press releases from the dockworkers’ union and from the support groups formed around them. 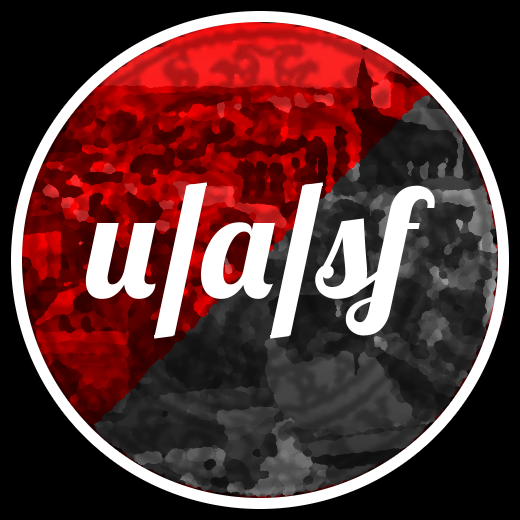 Lastly, we denounce the ossified trade union centrals, led by union fat-cats speaking out against the interests of combative, worker-controlled unions – who have at every stage in this on-going conflict done nothing but to prove the hollowness of the Swedish model and the levels of corruption to which they are ready to sink.